Faster than you can spend. I mean, Chanel just dropped the Spring Summer 2015 Collection act 1 last month (February) and this week, they’ve released the Spring Summer 2015 Collection act 2. 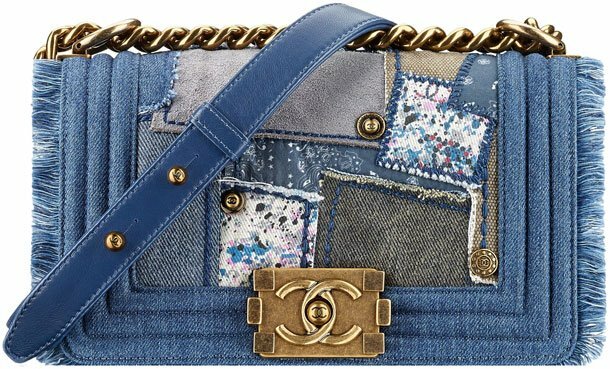 It’s only good if you haven’t max out your credit card on the first collection, because there are bags in the second collection that you can only dream of. 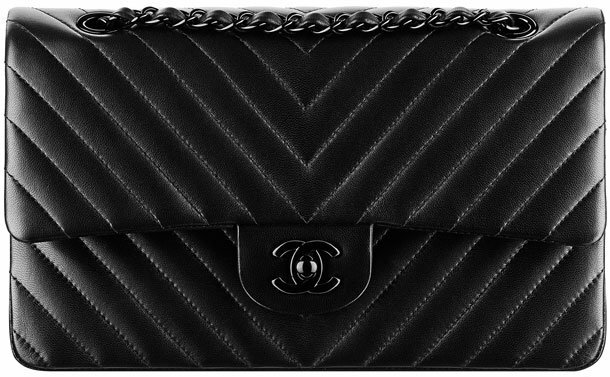 For the Chanel Boy Chained Flap Bag, I want to send you a reminder. 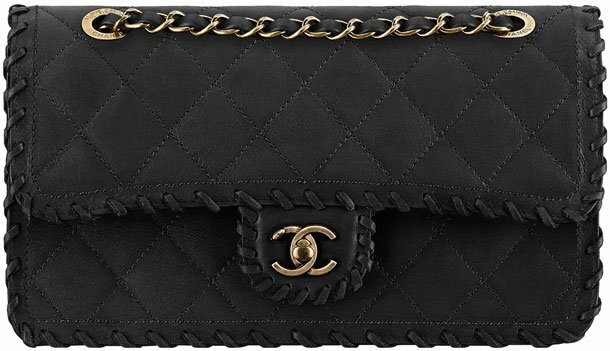 You haven’t forgot about the Chanel Boy Bag Enchained right? Yes, the beautiful and bold shoulder bag, with large and small chains on the front flap. If you have the ‘enchained’ version, then this Boy Chained Flap Bag is a ‘must have’ to complete your collection. You know those jeans in your wardrobe? 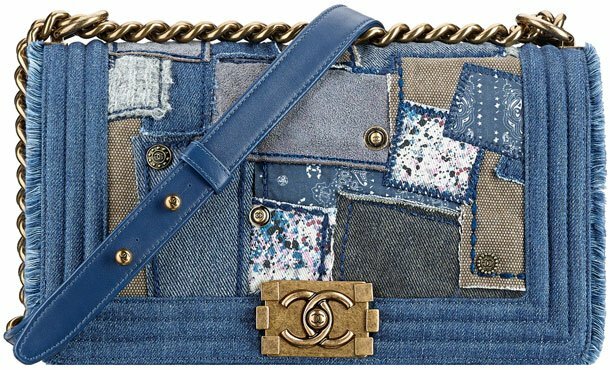 It’s time to take them out and match them with Chanel Graffiti Boy Flap Bags. We have already seen them on the runway, but they are now available to take-it-home. These bags are lovely, but you need to love multicolored graffiti styles. It’s perfect for the casual days – add some touch of Chanel into your street wear. For the newest Chevron Flap Bag, I am speechless. The colors are so fine – pure feminine for the spring and summer. I love the golden hardware, the CC, I am melting. 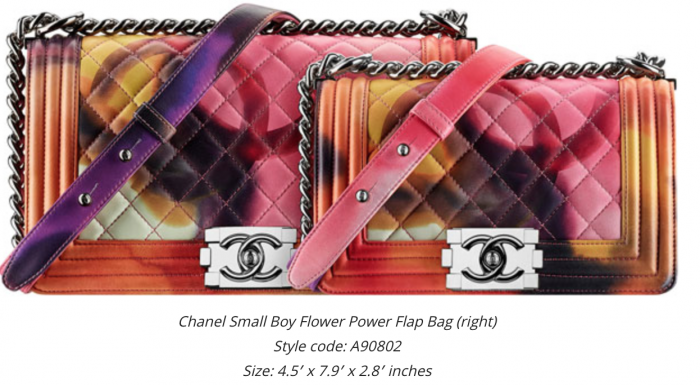 And for those that also love Chevron Bags, Chanel has them also in boy collection. So let us know, which one is your favorite? 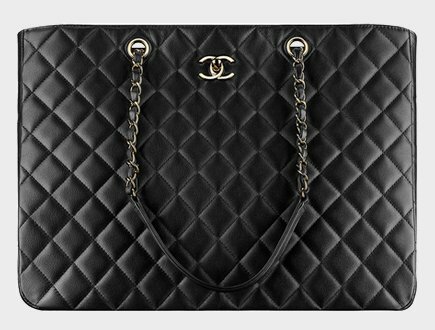 What do you think about the Coco Handle Chanel in the Quilted Classic print vs the new style that is coming out in Chevron it will be Caviar. The style now in that bag is a Caviar but Quilted. Your opinion? 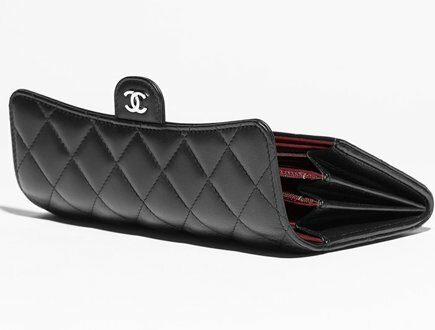 I kind of like the quilted pattern due to the Chevron looks good to me in the smooth leather or lambskin. 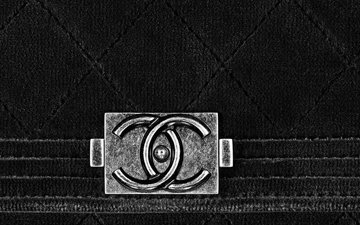 I will purchase the Coco Chanel Handle just need an opinion. The diamond quilting feels more classic than the chevron imo. You also need to consider the touch of the bag. Caviar leather is much more harder than calfskin. Do you know what colors the Chevron Boy Bag in calfskin come in? What about lambskin? The chevron boy is seasonal, meaning the leather too. So this time its calfskin. I heard they’ve lambskin too, but you need to ask the SA for that. Hi Valentina, there is only one size for as far as we know. This is a seasonal piece. I am heading to London for a day trip soon. 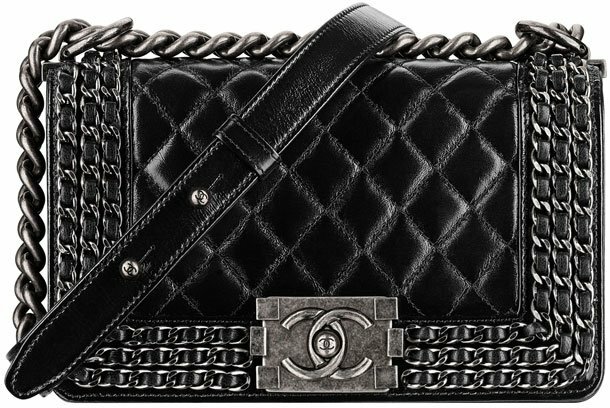 Planning to get old medium quilted boy bag in black, with ruthenium hardware, and also helping a friend to buy the same bag. Has anyone seen them in store? I am planning to visit the New Bond Street store. or they have better stocks in other stores? Is the classic mini square bag come back in store yet? I heard they are available in Paris but not London. Planning to get a beige square bag too. Please help! This bag is indeed seasonal and will be discontinued as the season is over. This bag is rare because of its print, many people usually buy the classics. This bag is just like the Classic Flap Bag, they have the jumbo size. If the jumbo doesn’t fit your requirement, then only the totes are a solution. 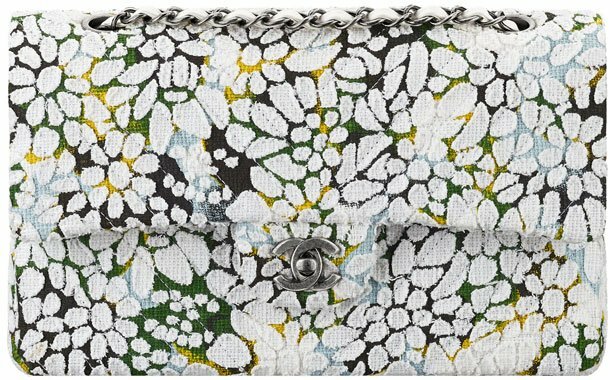 I’m quite interested in the Chanel boy flower power bag, but it’s space is so limited that only a few items can be taken. On the other hand, since this pattern is so seasonal, I am wondering if it will be out of fashion very soon. So what do you think of this bag? Thank you so much!!! Hi Wanda, the boy flower bag? Which bag is it? Do you have a picture? 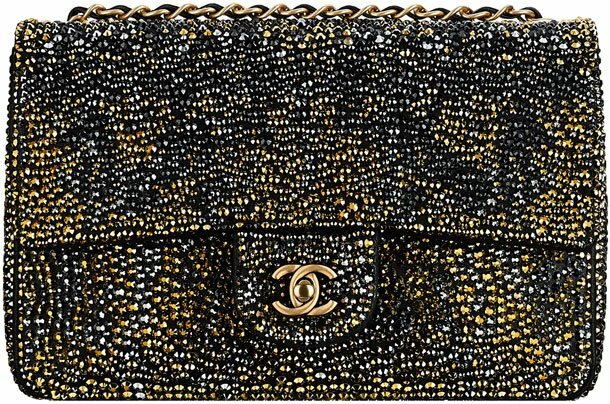 I would like to get a Chanel bag. I love the classic bag and the boy bag black too. I can’t decide which one that I should buy.i wanna have it n wanna use it long term. I am 5′ tall. Can u tell me which one is better for me? Will I be able to find the boy flap medium black previous year season in Paris? My advice is to start with the Classic Flap Bag, you can never go wrong with that bag. Later on, you can always get the boy bag. The permanent Quilted Boy Bags are always available, but not the seasonal from last year. Do you know whether this Summer Spring 2015 collection Act 2 are available for sale in Paris at the moment? My friend went there last week and she wanted a so black chevron, and the Same said this collection is only available on 7th April?! Do you think it will be increased after the 8th? Thanks so much! Hi Kim, the SA doesn’t know what she is saying. The SS2015 Act 2 Collection is now available in store and not after 7th April. 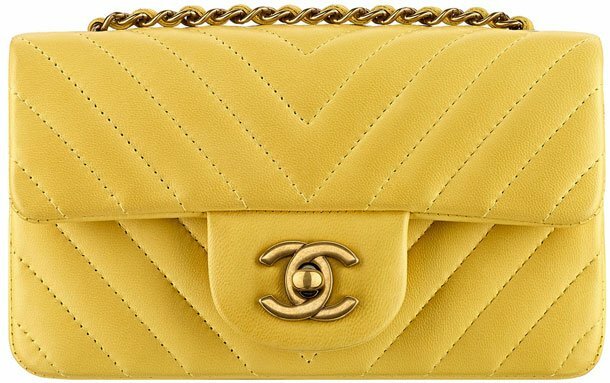 The Chevron might increase because its actually the classic flap bag in other style. Hi Joanna, its a hard decision. In my opinion, the reissue 266 and the Chevron Flap Bag and the Classic Flap Bag is kind-of the same bag type but different style. 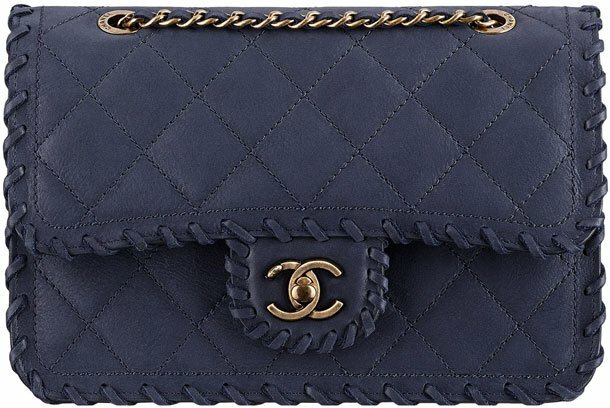 If you want totally different, then go for the Chanel Chained Boy Flap Bag. 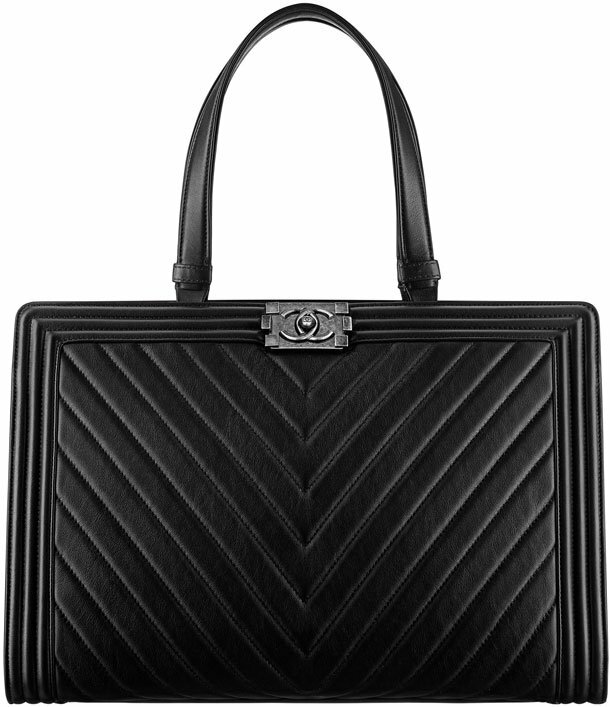 Even better, if you want to think in terms of investment, why not the Chanel Boy Chevron Flap Bag? My friend will be heading to Paris this Friday and I asked her to get a chevron boy Medium in black. Since the price will increase on 4/8, do you think she is able to find one in store? I think they will have, try a lot of Chanel stores, including the 31 Rue Cambon. What is the price now for a 20cm Chevron mini in Italy? Will the price go up after April 8? All the classic will go up, including the extra mini. We think te chevron mini will also go up. Hi Mina, we do not have the prices in CAD right now. 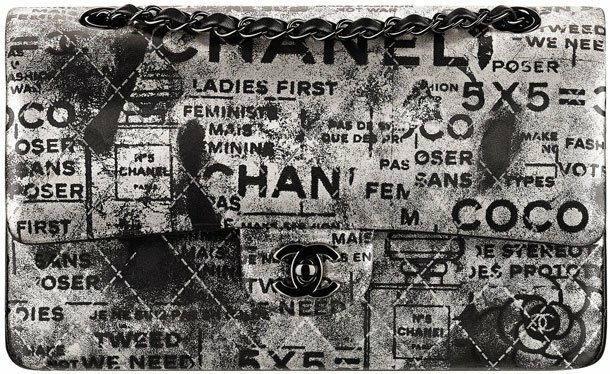 I’m wondering if chanel boy enchained without tweed is still avaliable in stores in Germany. Think it’s 2013 collection. No its not. I didn’t see this bag, I think its temporary discontinued. Hi Joanna, I have never heard anyone having problem purchasing the reissue 226. However, what color do you want? I don’t think there is a problem finding this bag, but can you find it in your size. 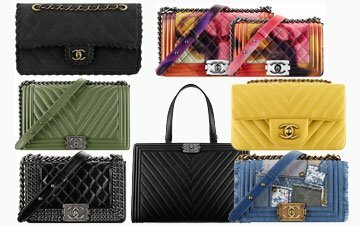 Chanel prices in Europe will increase very soon. 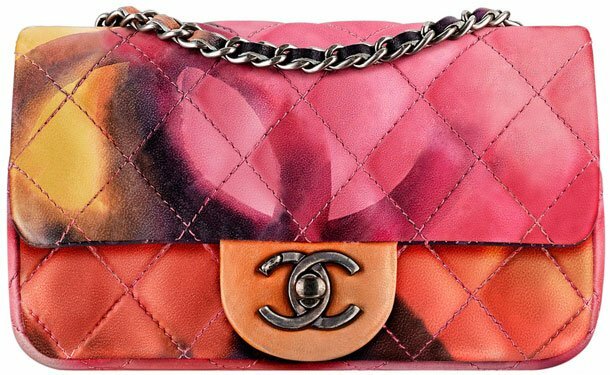 do you think is worth it value if I buy Chanel Hand-Painted Classic Flap Style code: A01112 for invesment ? I am thinking to keep as collection and perhaps I will selling in future . is the price will be going up considering seasonal bag or decline? Hmmm I am not sure, the price is $8000 USD. 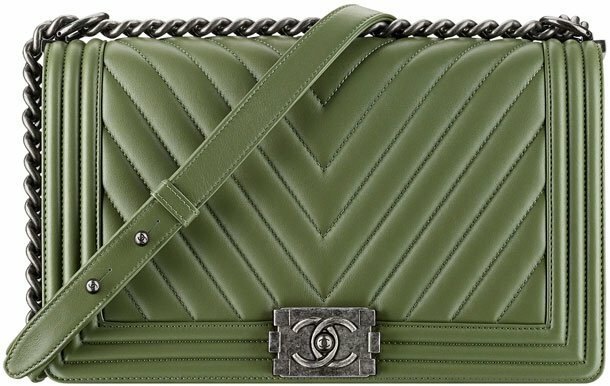 It’s more expensive than the quilted classic flap bag. For how long do you want to keep before selling? I was thinking keep it until end of the season, the idea is keeping as a rare bag collection. But, considering the price so high maybe you right. I am not sure either. What do you like about that bag? Because of the print? yes, because of the print and it looks so incredible special, so different. it’s like a bag with an art feeling. well, that’s my opinion. I understand what you mean, have you seen it in real-life? 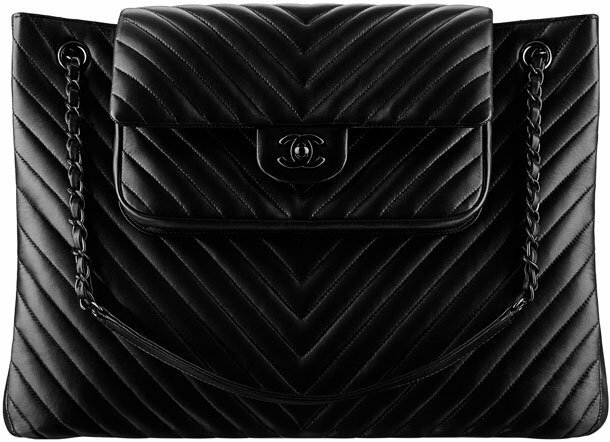 But I think the quilted version in black are quicker to sell, the limited colors of the classic flap bags will increase very quickly in price too. I am not sure about prints.